On the hunt for unique STEM challenges? Below are a couple that are sure-fire hits and can be created simply using Solo products. This baking soda and vinegar volcano is a classic. 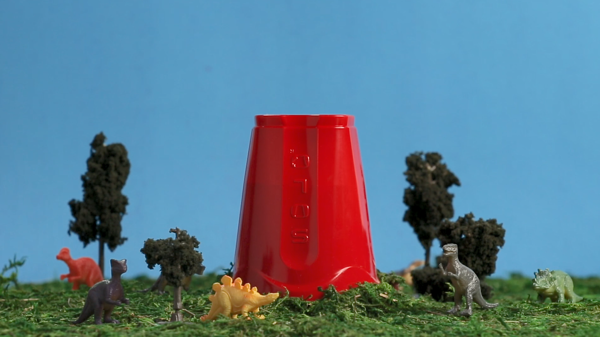 Flip a Solo Cup and you immediately have the perfect volcano feature, no need to mess around with sculpting clay. Plus, it’s easy to clean so you can create numerous volcanoes using the same cup. Start by cutting a hole in the bottom of the cup. Then take an empty paper towel roll, cut it to the size of the cup and wrap it in plastic wrap leaving just the top open. This will hold the liquid in your volcano. Once you’re set up and have decorated your volcano as you see fit, pour your vinegar into the tube along with a splash of dish soap and red food coloring. In a separate cup mix a ½ a cup of baking soda into a cup of water. 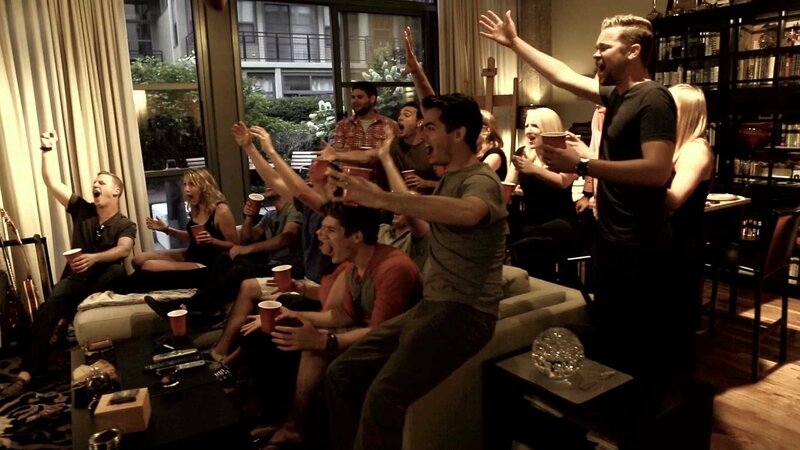 You’re all set! Add the baking soda mixture to the volcano and watch it erupt. If you enjoyed this STEM activity you'll love these other options that are great learning experiences for your kindergartners. Here’s one that requires an incredible amount of creativity. 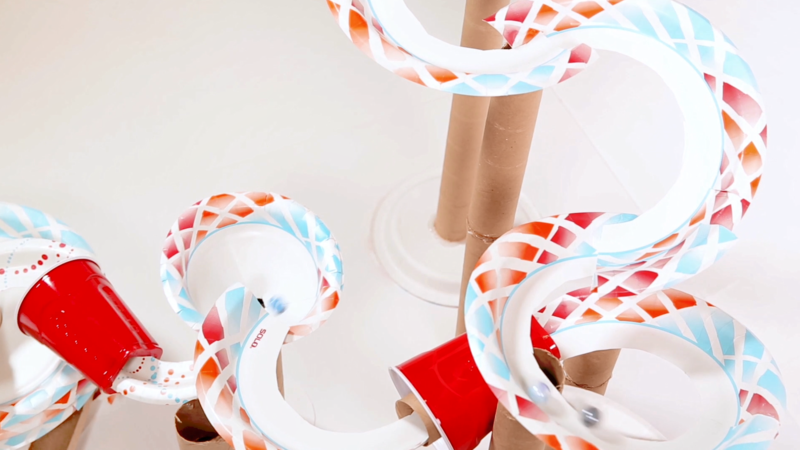 Challenge your budding engineers to create a marble run using Solo Cups, Solo Paper Plates and empty paper towel and toilet paper rolls. You’ll be absolutely floored by the ingenious structures they will produce. The cardboard rolls work well for providing height and stability for the structure. Provide glue or tape for kids to use to create strong connections. If you have enough cups they can also be used to fashion similar towers. 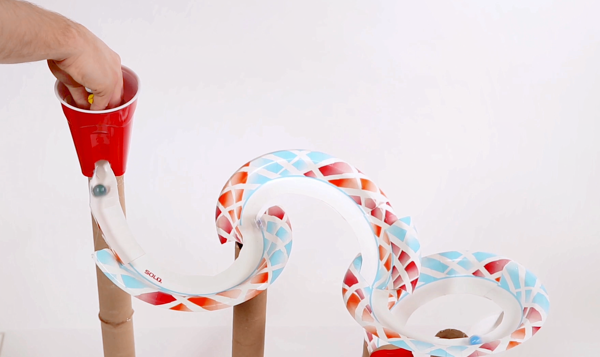 However, the most fun way to use the cups is as funnels between the different sections of your track. 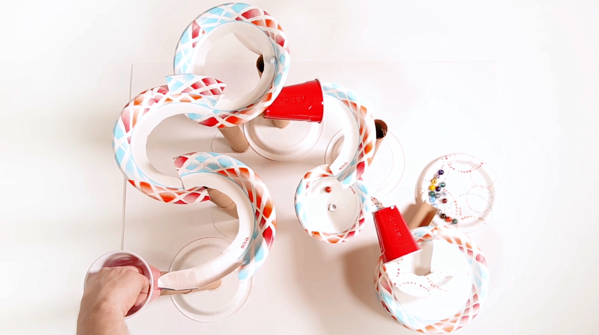 Depending on the number of cups you have some really great spiraling designs can be made. Next, and possibly the cleverest portion of this challenge, is to cut off the edges of the plates to act as longer tracks for the marbles. You’ll be amazed at the strength these plate edges possess as the marbles careen across them. Have your track finish on a Solo plate to keep all the marbles in one place. Did you enjoy this STEM challenge? Check out these STEM activites that are perfect for middle-schoolers. We would love to see all of the fun STEM activities you use Solo products to create. Please share them with us @solocup on social media. In the meantime, have fun building!